The weekends and the holidays are spent in these exotic locations and world-class hotels to get properly recharged and find new enthusiasm for everyday life. The term wellness makes a broader sense than health and fitness. It conglomerates what we can think of that correlates with the well-being of a person. Its necessity is increasing with eh advancement in the society every day. This is a very common practice in the western world where the distressed population seeks the shelter of rejuvenation and revival of energy and fitness in the wellness hotels. The weekends and the holidays are spent in these exotic locations and world-class hotels to get properly recharged and find new enthusiasm for everyday life. The concept is catching in the Indian subcontinent very fast. The considerable increase in their concern towards the health of their family produces a big prospect in the Indian market. As per speculations, the wellness industry is going to touch the mark of INR 500 billion by the end of this year. In fact, the figure is going to rise more than three times by the end of the financial year 2020 with an impressive figure of INR 1.5 Trillion. The compounded annual growth rate (CAGR) figure of India is growing 12% every year and this trend will continue for upcoming 5 years or more. This is what supports a wellness business idea considerably. The experts also suggest that the insurance sector will see a huge boom in the upcoming years as almost 45% of the Indian population is going will contribute to the elder population. The impressive figures and the promising growth rate are deciding the future of the wellness industry in India. Probably the best venture one can take to provide an international grade wellness venue is opening a wellness hotel. These venues have all necessary features and facilities necessary for the rejuvenation of the visiting people. The list below mentions the brightest names that are ruling the Indian wellness sector of hotels. Situated in Uttaranchal, Ananda is the best amalgamation of luxury and wellness one can find in the serene locations. Only the best thing can happen when Ayurveda meets international wellness practices. The wellness hotel serves the best rejuvenation venue in between the holy cities of Haridwar and Rishikesh. The hotel is situated on the bank of the Ganges and the foothills of the Himalaya. Along with the tranquility and utmost peace, the healing sessions of Ayurveda, Vedanta, Yoga and many other therapies collected from the corners of the world are used to invigorate the stressed individuals. Situated in Shimla, Wildflower Hall is one of the best wellness hotels in India. It is situated at a height of 8000 feet above sea level. 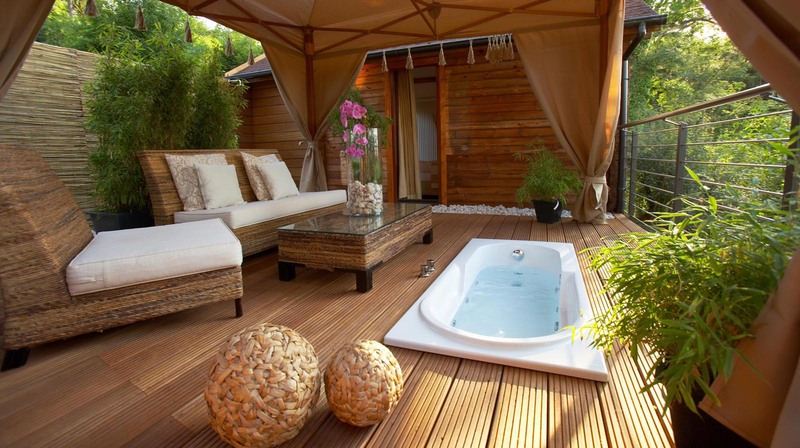 The site is not only famous for exotic sights but also for the proven relaxation treatments and luxurious spa suites. The transcendent views of the cloud-clad mountain peaks along with the Asian rejuvenation practices make the days worth spending here. Descending to the farthest south in the Indian subcontinent, Kalari Kovilakom is a place where people flock in to find the ultimate Ayurvedic healing techniques to revive their stressed body, mind, and soul. The high-class accommodations with elegant features along with the organic food make this place an ideal location for the entire family. The venue does not allow the visitors to wear shoes and encourage them to stay barefoot. This destination is also very well-known as skiers’ paradise. The venue offers exotic Hawaiian, Balinese and Shiatsu styled rejuvenation services. Even the delectable menu here will make it worth coming here. The above names of the best wellness hotels in India clearly suggest the future prosperity of the wellness venture in the Indian market. The same service can be provided in any location and captivate the stressed population with the revival techniques. Rob Wittman said, “Individuals will achieve healthier lifestyles when prevention and wellness programs are accessible and available in their workplace, through their health provider, and in their communities.” This wellness business idea can be ventured in any location. The local population will be well-benefited with the idea and the business will definitely see better days. The wellness hotel will include physiological and mental detoxification and revival techniques along with a variety of delectable cuisine as a whole package. Innovation is the New Fad..
Trending Business Ideas in Fitness Industry..